The split worsened during the 1860 Democratic presidential and state conventions when Mozart Hall challenged Tammany delegations for their convention seats — and adopted positions much more sympathetic to Southern Democrats and secessionists. Historians Edwin G. Burrows and Mike Wallace wrote that Democratic divisions “cost their party the mayoralty in 1861, when Tammany’s C. Godfrey Gunther and Mozart’s Wood divided the Democratic vote, allowing Republican George Opdyke — a wealthy dry-goods importer, banker, and broker and a leader in the Union Defense Committee — to capture City Hall with barely more than one-third of the vote.”3 Opdyke was a Radical Republican whose anti-slavery views came under attack in the campaign. Republicans blundered in October, according to historian Jerome Mushkat, when the Fifth Avenue Committee, the St. Nicholas Committee, the German League, and the Tax-Payers Committee [were] linked with the Republicans on a Unionist, reformist slate.”4 Their unity spurred Democratic unity as well. But the many reform groups were also symptomatic of their disunity. “Insurgents divided between such groups as Taxpayers Party, St. Nicholas Hotel, Fifth Avenue Hotel, German League, Cooper Institute Reform, and People’s Union. What each group generally stood for was self-aggrandizement, reform and lowering of the tax rate. The electioneering was typical of all New York politics — a fragmented nightmare,” wrote Leo Hershkowitz in Tweed’s New York: Another Look 5 Eventually, the Rent-Payers Association joined the others in supporting George Opdyke’s candidacy. The election was tough, rough and close. Attorney George Templeton Strong wrote the day after the election: “Opdyke is mayor, Wood having failed of reelection by a chose shave. I have no sort of faith in Opdyke, but he is certainly not proven to be quite as bad as his predecessor.”16 The vote was very close. Opdyke received 25,380 votes while Gunther came second with 24,767 and Mayor Wood ran last with 24,167 votes. 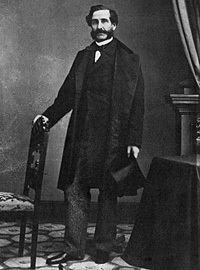 By 1863, a new faction had entered the ranks of New York City Democrats — one lead by John Keon. According to historian Mushkat, “After the [1863 Draft] riot, an odd collection of anti-Wood Peace Democrats, reform-minded businessmen, independent Irishmen, and disappointed office-seekers coalesced around John McKeon’s leadership. 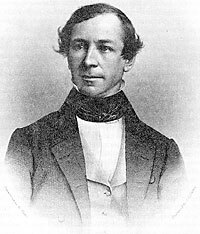 With this inter— and intra-party fusion, the McKeonites demanded that the state party give them sole local recognition at the coming convention.”19 He picked up the 1861 Tammany candidate for mayor, C. Godfrey Gunther. 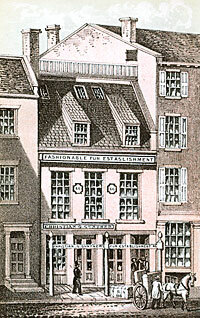 The McKeonites had been stymied at the Democratic State Convention in September when Tammany Hall and Mozart Hill combined to block their delegates from being seated. Meanwhile, Mozart Hall began to splinter — one group joined the new McKeon faction and one group stuck with Wood. 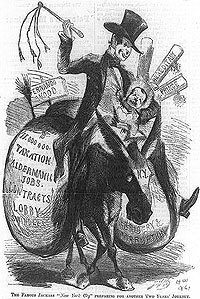 The 1863 election exposed Tammany Hall’s continued woes” in poor areas like Five Points, wrote Tyler Anbinder. “The Irish-American explained Gunther’s victory by observing that ‘the people, who, for a long while, have not been content with the manner in which the political ‘machines’ have been run for the exclusive profit of a score or two of political dictators, voted for the only candidate who appeared to be running without any machinery at all, and elected him.”27 Although it was a defeat for the Democratic political bosses, it was not a victory for President Lincoln. Gunther was a Peace Democrat and no friend of the President or his policies. After his murder, Gunther’s reaction was distinctly cooler than was that of other New York politicians; he vetoed publication of the records of the Committee on Arrangements for Mr. Lincoln’s funeral. Oliver E. Allen, New York, New York: A History of the World’s Most Exhilarating and Challenging City, p. 162. Edwin G. Burrows and Mike Wallace, Gotham: A History of New York City to 1898, p. 885. Jerome Mushkat, Tammany: The Evolution of a Political Machine, 1789-1865, p. 331. Leo Hershkowitz, Tweed’s New York: Another Look, p. 84. Alexander B. Callow, Jr., The Tweed Ring, p. 26-27. Jerome Mushkat, Tammany: The Evolution of a Political Machine, 1789-1865, p. 332. Sidney David Brummer, Political History of New York State During the Period of the Civil War, p. 176. The Age of the Bosses, p. 100. Sidney David Brummer, Political History of New York State During the Period of the Civil War, p. 177 (New York Herald, December 8, 1861). Jerome Mushkat, Tammany: The Evolution of a Political Machine, 1789-1865, p. 333. William Alan Bales, Tiger in the Streets: A City in a Time of Trouble, p. 113. Sidney David Brummer, Political History of New York State During the Period of the Civil War, p. 177. Jerome Mushkat, Tammany: The Evolution of a Political Machine, 1789-1865, p. 334. Sidney David Brummer, Political History of New York State During the Period of the Civil War, p. 32-33. Sidney David Brummer, Political History of New York State During the Period of the Civil War, p. 190-191. Jerome Mushkat, Tammany: The Evolution of a Political Machine, 1789-1865, p. 353. Sidney David Brummer, Political History of New York State During the Period of the Civil War, p. 354. Abraham Lincoln Papers at the Library of Congress. Transcribed and Annotated by the Lincoln Studies Center, Knox College. Galesburg, Illinois. (Letter from Abraham Lincoln to John J. Astor Jr., Nathaniel Sands, and Robert B. Roosevelt, November 9, 1863). Abraham Lincoln Papers at the Library of Congress. Transcribed and Annotated by the Lincoln Studies Center, Knox College. Galesburg, Illinois. November 10, 1863. Jerome Mushkat, Tammany: The Evolution of a Political Machine, 1789-1865, p. 354. Tyler Anbinder, Five Points: The 19th-Century New York City Neighborhood That Invented Tap Dance, Stole Elections, and Became the World’s Most Notorious Slum, p. 318.